As an independent, fee-only registered investment advisor, Charter Capital Management, Inc. provides wealth management services to individuals, families and trusts. 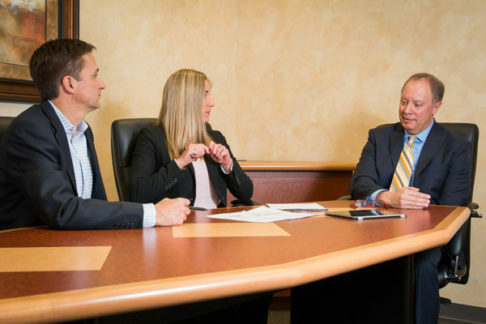 Our services combine comprehensive financial planning and discretionary investment management with the objective of achieving our clients’ financial goals. Our team of advisors will manage the complex interaction of taxes, investment returns and risks, savings strategies, income requirements and estate planning to manage your wealth effectively and efficiently. Financial Planning is the first step in the wealth management process. At this stage we collect all of the client’s relevant financial information and gain an understanding of their financial goals and objectives. Whether that goal is saving for college, buying a second home or planning for retirement we develop a game-plan that will incorporate the many facets of their financial life to be certain all factors are being considered when making decisions. If the need arises, we will refer you to outside professionals such as accountants, attorneys or insurance agents, or we will work with professionals with whom you have existing relationships. CCM does not receive compensation from the professionals it recommends. As part of the Financial Planning process, the client’s objectives are determined. In the Investment Management process, an appropriate investment strategy is developed to meet those objectives. CCM will use discretionary authority to structure a portfolio and provide on-going management to fulfill the client’s objectives while allowing for individual risk constraints. We construct an appropriate portfolio through the use of various investment mediums including individual stocks, bonds, exchange traded funds and low cost, no-load mutual funds. Utilizing our measured approach, we are able to tailor a portfolio to meet the specific objectives of each client. CCM is compensated in the form of an annual advisory fee which is based on a percentage of assets that we manage. This advisory fee covers all Wealth Management Services – both Financial Planning and Investment Management. CCM does not receive any additional compensation or commissions that may prevent us from providing advice that is in your best interest. Thank you for visiting Charter Capital Management's Corporate Retirement website. Charter also offers Individual Wealth Management services. For more information, visit our Individual Wealth Management site.